Check out our special one-time public events. Events are scheduled throughout the year to coincide with important celestial events, guest lectures, anniversaries and festivals. Celebrate Earth Day at the Edelman Planetarium with a free screening of Bad Tidings. Bad Tidings is the story of a New Jersey town that faces the grim reality of climate change. After being devastated by Hurricane Sandy, the townspeople of Sea Bright, a relatively affluent barrier island along the Jersey shore must cope with dire sea level rise projections. It's likely that their homes will be under water in the next 50 years. Interviews with scientists, politicians, the Army Corps of Engineers, and New Jersey shore residents put the decision to protect the shoreline into question. With no clear vision of the future, every step to protect communities are faced with severe criticism from scientists, and politicians. This leaves shoreline residents to consider if it is even right to continue living along the coast. Should they stay or should they go? Will adaptation work? Or is it foolish to challenge Mother Nature? People all across the Delaware Valley turn their eyes to the skies for a one-night-only citywide celebration of the cosmos! Join your friends and neighbors to stare at the stars, contemplate the constellations, and be amazed by astronomy—right in your own backyard. Visit the Edelman Planetarium for free showings of Stars: The Powerhouses of the Universe. Every star has a story. Some are as old as time, faint and almost forgotten. Others burn bright and end their lives in powerful explosions. New stars are created every day, born of vast clouds of gas and dust. Through every phase of their existence, stars release the energy that powers the Universe. Journey to the furthest reaches of our galaxy and experience both the awesome beauty and destructive power of Stars. Suitable for audiences of all ages, this dramatic program features narration by Mark Hamill and stunning 3D animation by NSC creative at the National Space Centre in Leicester, UK. This free immersive planetarium show will be played at 7:30 and 8:00 pm. 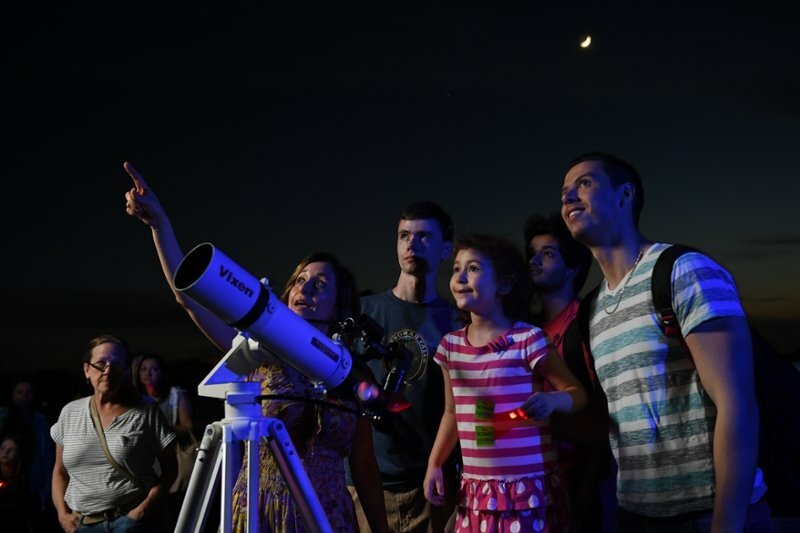 Guests are encouraged to head to the rooftop observatory for views of the night sky through our telescopes. 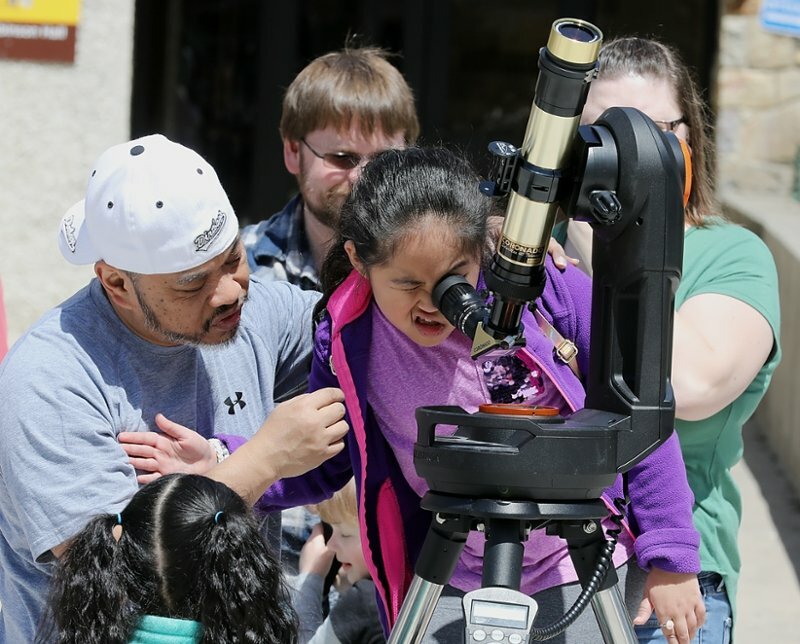 Faculty and members of the student-run Astronomy Club will be present to operate the telescopes and assist in helping guests enjoy the night sky. Rowan University throws open its doors to South Jersey families and budding scientists! Join Rowan students, faculty, and staff for an afternoon of cutting-edge science and fun across our Glassboro campus. Experience Black Holes, an immersive planetarium show, playing every forty minutes. Observe the Sun through our solar telescopes (weather permitting). Come see science in action at Rowan! Take a trip to the other side of infinity with Black Holes! Black Holes takes a dramatic look at these strange objects: where they are, what they're like, what it would look like if you fell into one. A presentation of the facts and theory surrounding the astronomical phenomenon of black holes, using the latest in computer-generated imagery. Theories regarding their origin are presented, along with speculation about what lies within and beyond them. Narrated by Liam Neeson. This immersive planetarium show will be played on our dome screen every 40 minutes during Family Science Sunday. This event is free for everyone but tickets to the show are required. Tickets can be picked up at the door starting at 1:00 pm.